Views very widely on the value of hiring a professional stager to prepare your home for sale. Many real estate agents swear by it and have years of sales to back up their claim. They cite their own impressions, sales history and anecdotal evidence to underscore that professional staging adds value to the home. On the other hand, an academic study done in 2014 by Michael Seiler, professor of real estate and finance at the College of William & Mary and co-authors, Mark Lane, associate professor in the finance department at Old Dominion University, and Vicky Seiler, researcher at Johns Hopkins University, showed virtual tours to potential buyers with staged and un-staged scenes of the same home. Buyers consistently priced the home’s value at about the same. The conclusion of the study was that the cost of professional staging does not raise the perceived value of the home. Before you nix hiring a professional stager, however, you should know that this same study showed that staging does give buyers a positive sense of a home’s “livability” that promotes a quicker sale. Since the home in the study was in the $200,000 range, the research also does not show how staging influences the sale of a higher-priced or luxury home. One of the results of the study was the information that while buyers believed themselves to by savvy and not influenced by “staging,” the most often believed that other buyers would be influenced by it. In essence, they thought they would know the actual value of the home more than other people would and could therefore negotiate a better price. Since the home in question was not “real” the actual outcome of a sale was not provable. Will the home sell for a higher price? Will the home sell more quickly? A 2012 survey by HomeGain of over 2,500 realtors showed that staging increased the selling price of homes from $3,000 to $3,900 and that the return on investment was more that 4500 percent. In the same study, 73 percent of the agents surveyed recommended staging. According to ASP®, the Accredited Staging Professional training organization, citing a report by The International Association of Home Staging Professionals®, staged homes sell for an average of 17 percent higher price. On a lower priced home—say under $200,000—that 17 percent would only be $3,400 and so the cost of professional staging may seem like a wash. On a $750,000 home, however, that same 17 percent will amount to a whopping $127,500 back in your pocket. According to The International Association of Home Staging Professionals® study, staged homes sell within an average of 11 days. Agents that swear by staging, their homes spend 73 percent LESS time on the market and are subject to fewer concessions to the buyers. When the market is strong, many agents believe that staging may be unnecessary because properties already receive multiple offers. 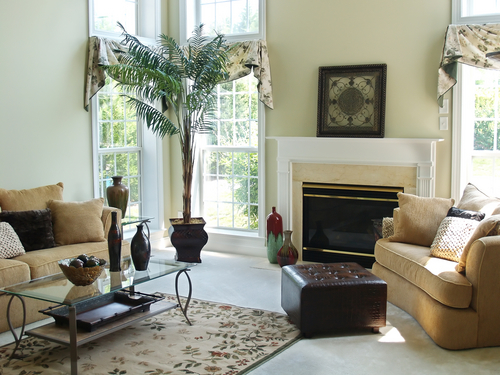 In a softer market, or a specific price range however, staging your home may lift it above the competition. Answering the claims against staging by the academic study, HomeGain points out that staging is more that just painted walls and well-placed furnishings. True staging appeals to multiple senses including smell, mood, temperature, sight and memory. Most important is to rely on the professional recommendation of your own agent. We know your market, have studied your home’s competition and have a vested interest in making the best recommendations for you.